We have developed an offbeat destination in the Karakorum Range at an elevation of 8900ft. which has been specially designed for high hills travellers. 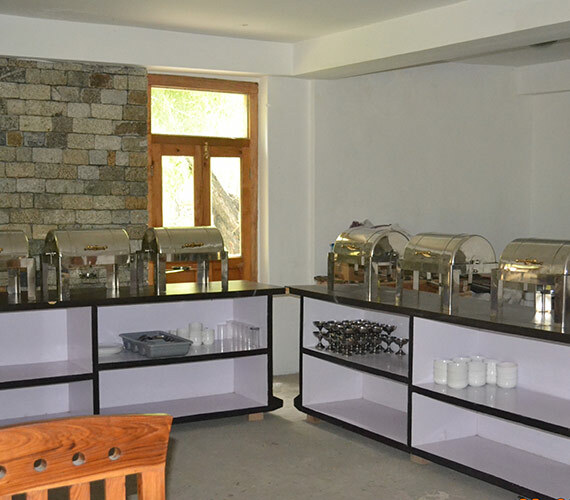 We ensure that our guests have a gala time in one of the most scenic destinations of Ladakh and hence provide all facilities you deserve. Our services enable you to make reservations online or through a simple telephonic call which makes making bookings simple and carefree. Set up in about 4acres of land, the camping site is maintained naturally without adding any synthetic value to the place. We like to keep things natural and beautiful and so work continuously to make travel experience for our guests welcoming and peaceful. The newly set up Balti Farm is an added feature that is intended to offer finest dining experience in a in an organic farm to table set-up. Apart from regular services, our tents are all decked up to welcome guests across the globe..
Overlooking the resort organic farm and surrounding Apple and apricot orchard, offers a relaxed ambience for all-day dining within its indoor or shaded open-air.A delicious mix of Oriental, Indian and Continental favourites with plenty of healthy choices to suit every palate. Buffet counters engage and excite your taste buds with varying themes during the week. The vegetables use are freshly picked from our own organic farm to put some of the healthy dishes on your plate. 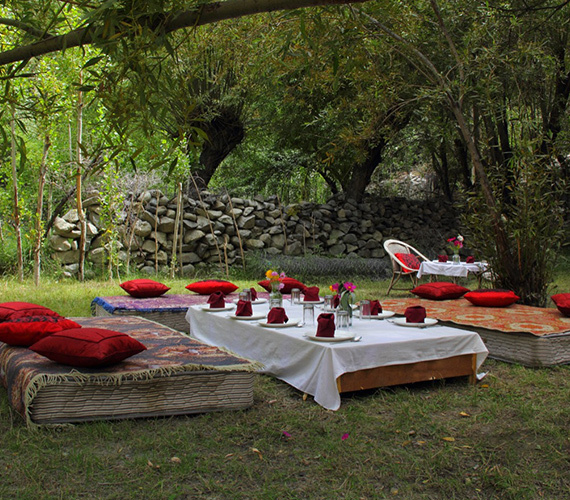 The Balti farm at Turtuk Holiday Resort serve authentic Balti cuisine from farm to table optional A-la-Carte along with ‘The Ten Course Chef Tasting Menu’ where each course is paired with a selection of seasonal juices from Baltistan offering a complete premium dining experience to the guests. Seasonal, organic (where possible) and fresh local produce join unusual ingredients from Chorbat Baltistan cuisine to create a menu that will excite the adventurous, yet satisfying traditional tastes.This is our attempt at proposing Balti food in the twenty first century.